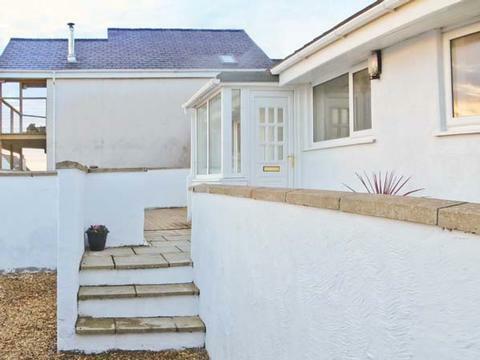 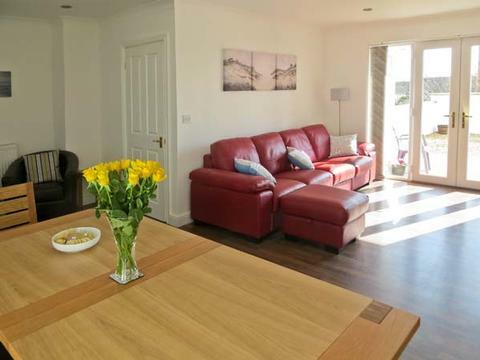 This cosy Rhosneigr cottage is decorated and furnished to a high standard throughout to offer airy ground floor accommodation, suitable for families and friends of all ages, sleeping eight people in four bedrooms. 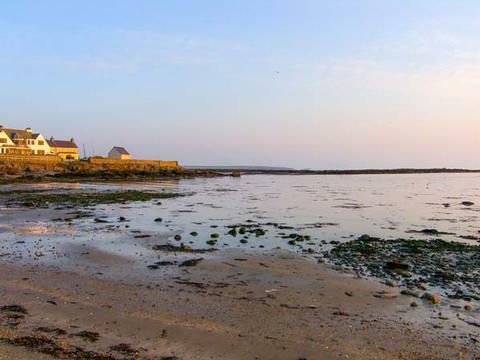 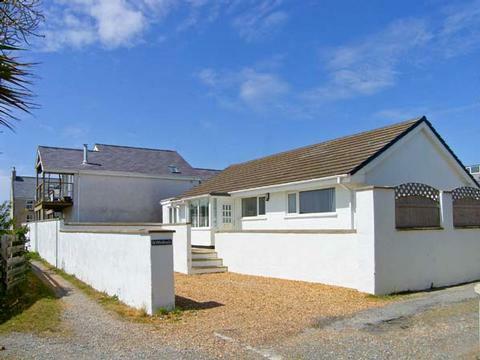 St Winifreds is a single-storey cottage in the popular coastal village of Rhosneigr. 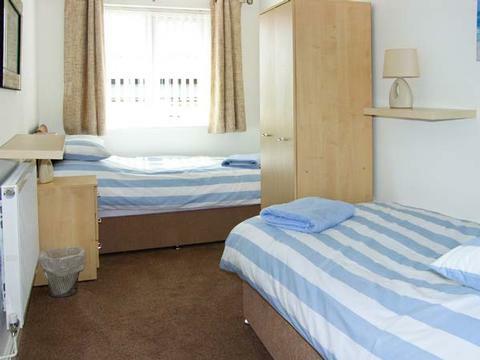 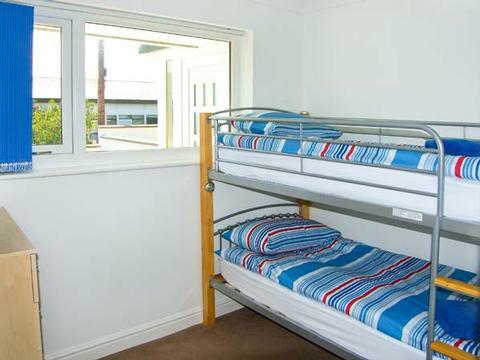 The cottage has a selection of bedrooms - a king-size double, double, twin and children's bunks - making it suitable for a wide range of guests. 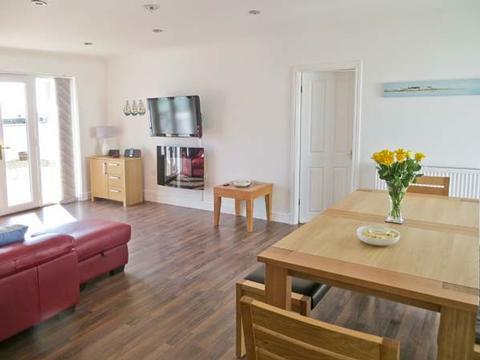 There are two bathrooms, a well-equipped kitchen, and a sitting room with dining area. 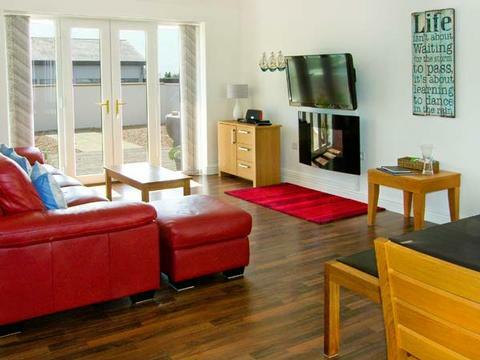 Outside is a garden room with dart board, sofa and TV. 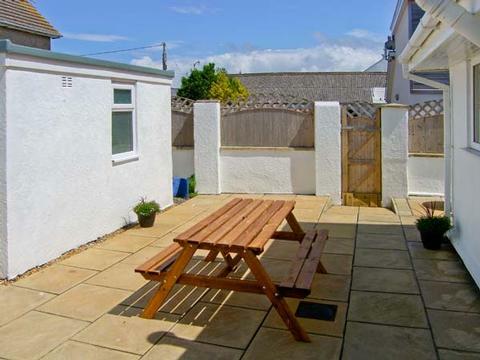 There are patios to the front and rear, and off road parking for two cars. 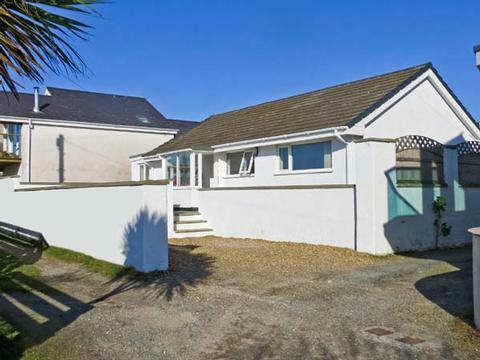 The beach and amenities of Rhosneigr are just a couple of minutes' walk, with the rest of Anglesey and even Snowdonia and the Llyn Peninsula easily explored. 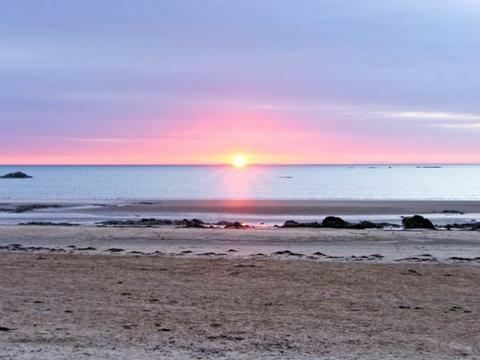 The seaside village of Rhosneigr is situated on the west coast of Anglesey, famous for its spectacular cliffs and magnificent sandy beaches. 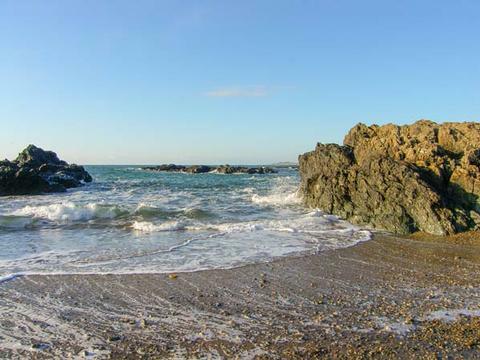 It is known for its renowned watersports, providing some of the best windsurfing and kitesurfing in the UK. 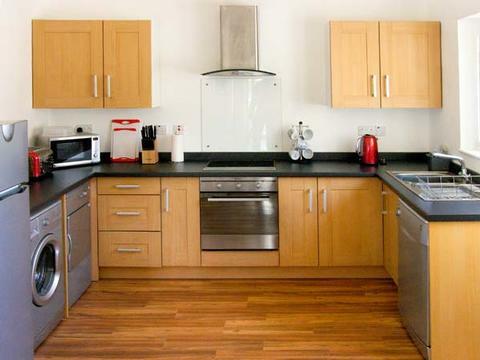 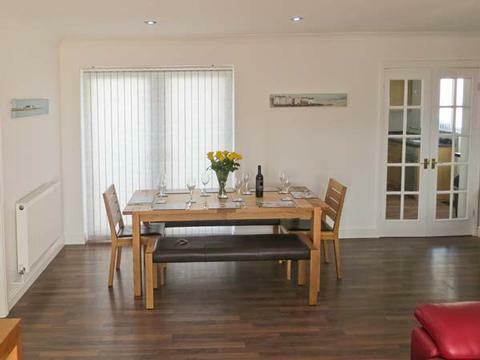 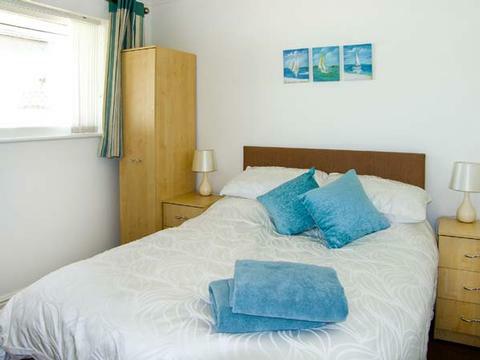 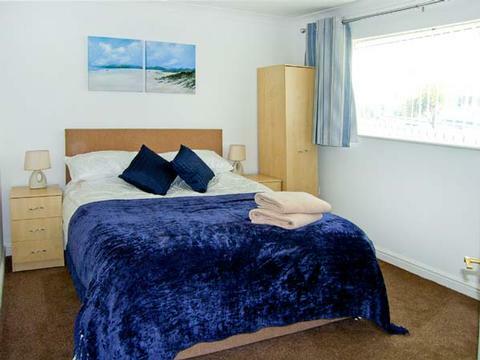 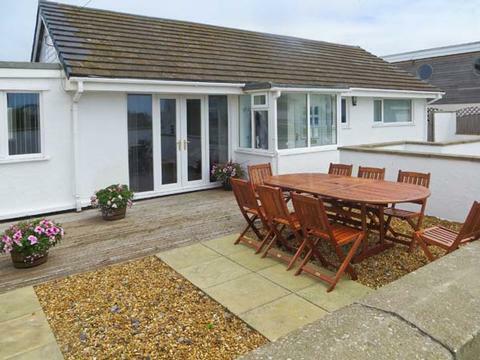 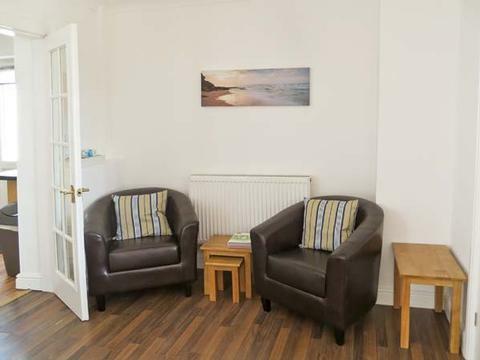 Contact St Winifreds Self Catering Cottage Rhosneigr North Wales > for Enquiries and Availability.